The following article about a podcast on BBC 5 Live appeared today on the BBC News website. I am not advocating all the ingredients or recipes used (honey, Quorn or fish are NOT part of a WFPB diet! 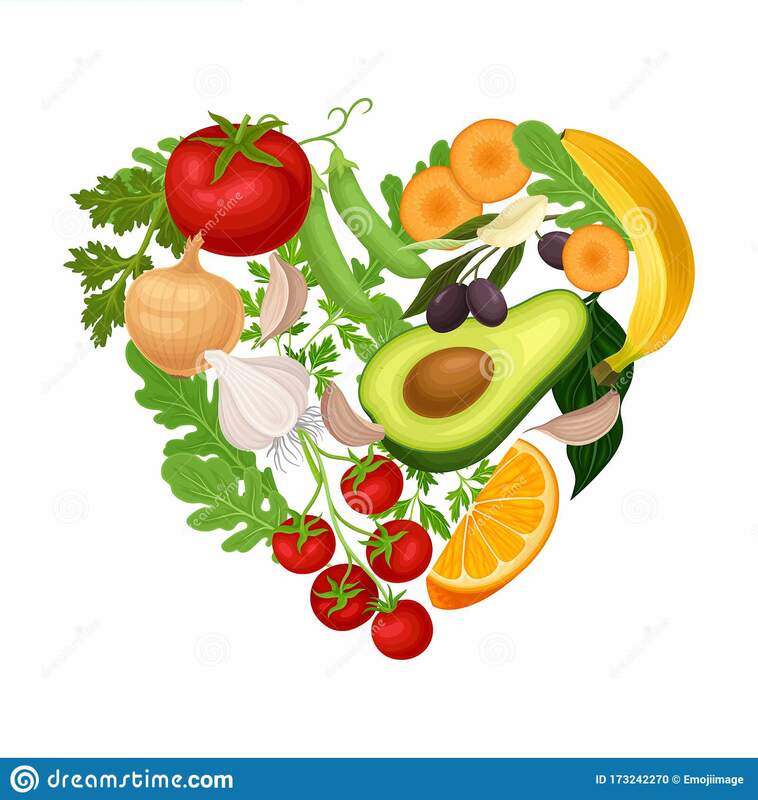 ), but it is interesting how healthier, more plant-dense foods are being introduced to the general population without seeming to overtly mention the “V” words. 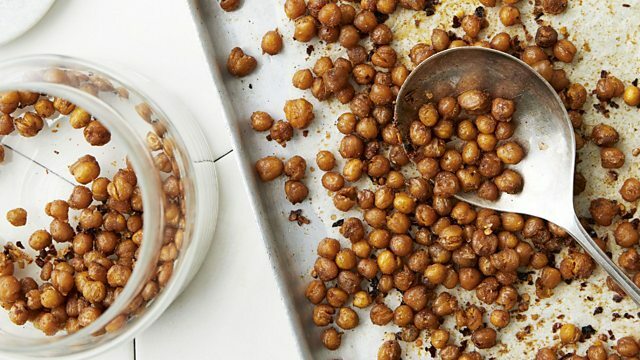 It could be argued that this is an attempt to introduce the population to plant-based eating without risking the predictable resistance encountered when the words Vegetarian or Vegan are used. In a similar way, WFPB nutrition avoids the “V” words – why? Well, there are plenty of vegetarians and vegans eating unhealthy foods, even though they may contain little of no meat products. All I need to recall is a cousin of mine who became a vegan at the age of 4 and has remained a vegan to this day. She existed into adulthood with a dislike of fruit and vegetables and existed on a diet consisting mainly of chips, crisps and confectionery – I kid you not! So, when asked if I am a vegan, I reply with a resounding “No!” I simply eat whole plant-foods and avoid all fractional elements like oils, processed foods, added salt and sugar. This is not to say that I do not share with many vegans the same general concerns about animal welfare and the environmental impact of the food choices we make; but our task of helping ourselves and others to eat healthily without labels getting in the way. What do you think? In this week’s Fit & Fearless podcast, Tally, Vic and Zanna talk all things nutrition – you can’t be fit and fearless without giving your body the right fuel! To help you build a healthy relationship with food, they’ve enlisted help from nutritionist Rhiannon Lambert (AKA “Rhitrition”, pictured), who believes “eating is a chance to nourish”. Here’s Rhiannon’s meal plan for a healthy day! Quick and easy if in a rush. 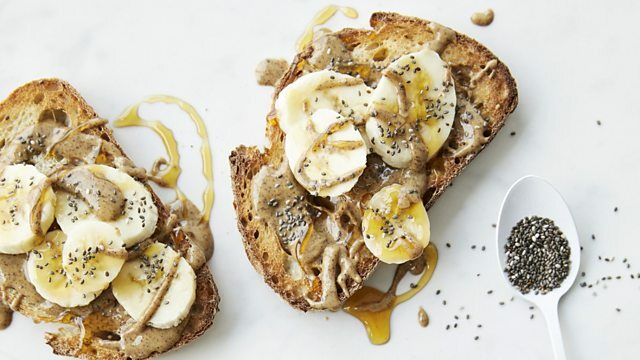 Wholegrain toast is rich in fibre keeping me fuller for longer and banana with nut butter and a dash of honey is heavenly! This is a perfectly balanced breakfast with healthy fats, protein and carbohydrate. 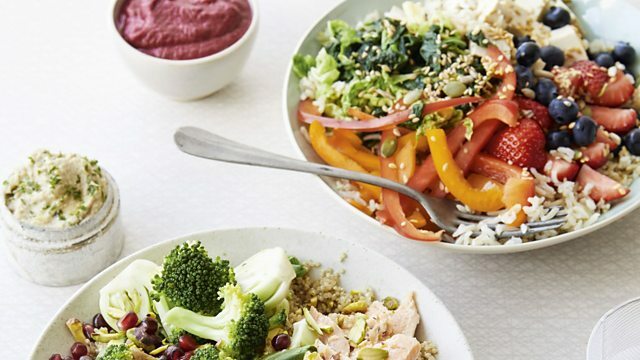 Often a Buddha Bowl, I like to pick and mix my lunch items and add as much colour as I can possibly get my hands on. I believe lunch should always be a fulfilling meal with a chance for you to get your hands on a variety of nutrition. I often make a batch on a Sunday evening and store them in an airtight container for a few days. They taste so good and you can add different spices and flavours to suit you. 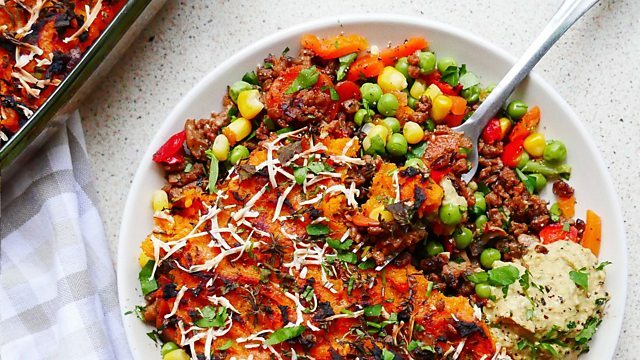 This is honestly one of my favourite childhood dishes and I love to make a veggie version with quorn mince as I can then freeze portions to get me through the next week. I sometimes cook a family sized dish to ensure I minimise cooking time throughout the week taking portions to clinic for lunch. Next Next post: How Do You Poo?